Join me for a flip-through of some weekly spreads – plus I’ll show you what stickers I love and how I’m using the notes column! What kind of planner do you use? I can’t wait to show you the one I’ve picked out for next year! You could definitely salvage that planner for another year! My planner methods have changed as my needs/schedule changed, too. 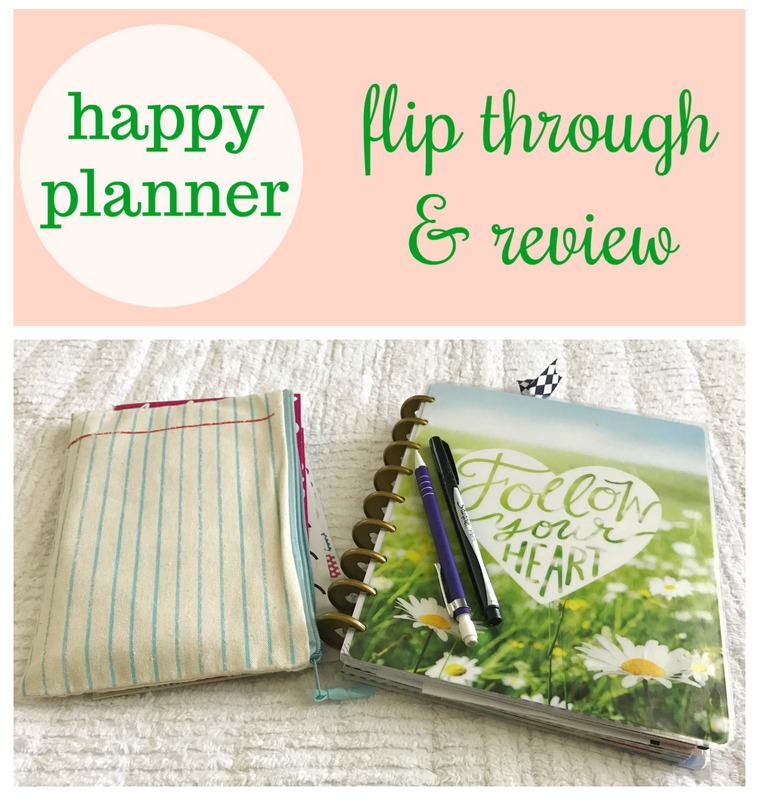 I, too, am a Happy Planner! I have the classic size, and got the 24 month kit with some stickers and washi tape! I have started using it since about March, and it has helped me quite a bit to plan and track progress for my PhD/research (I’ve recently blogged about it 😉 ). That’s awesome! I agree, planners like these are perfect for tracking progress! I am a Happy Planner too 🙂 I have a classic one I use at home for FlyLady routines and zones, meal planning, etc. I have a mini that I carry in my purse and a big HP that I use for scripture writing. I’ve been planning for 2 years now.